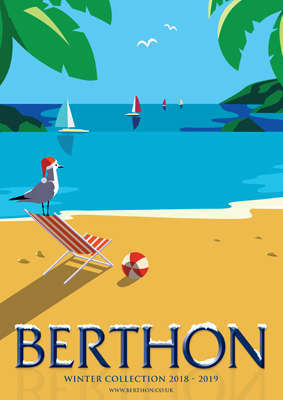 Berthon’s history with the Motor Gun Boats (MGB) and Motor Torpedo Boats (MTB) goes all the way back to 1939 when numerous MGB and MTB hulls and complete boats were built or fitted out at our boat yard during World War Two. This adaptable hull design allowed the vessel to be converted between a torpedo and gunboat variant depending on upcoming missions. 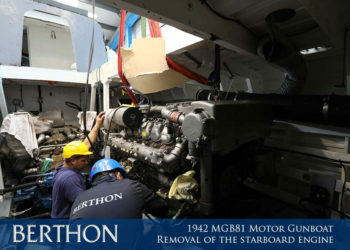 As well as this history, Berthon’s experience was a key factor in MGB81 being restored at our shipyard. Berthon’s traditional shipwrighting experience in restoring and refitting boats at our state of the art facilities is unrivalled in the UK, coupled with our award-winning apprenticeship scheme ensures these skills are also passed on to the next generation. 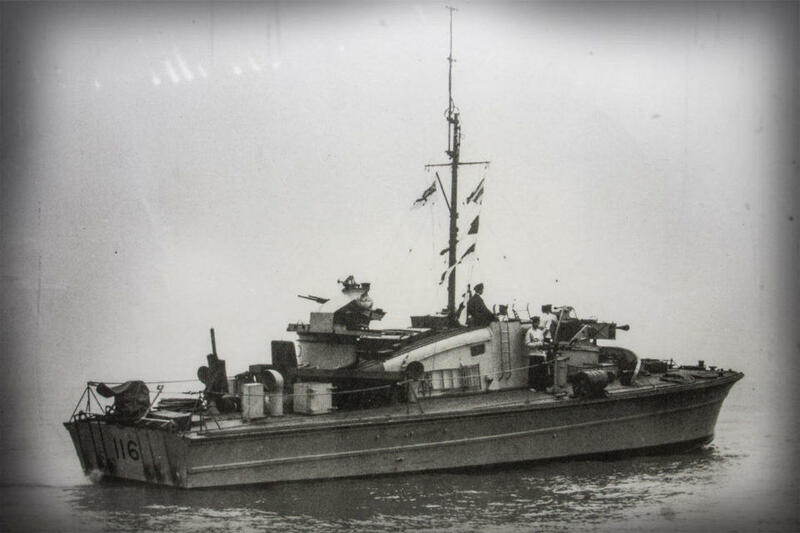 MGB 81’s design was produced by the British Power Boat Company (BPB) in collaboration with the Admiralty and, in all, 105 of her type were built (including some which were completed as motor torpedo boats). MGB 81 had a chine hull form using double-diagonal mahogany sides and a triple diagonal mahogany bottom. Although ordered on 27 November 1940, MGB 81 was not laid down until 16 December 1941. She was launched on 26 June 1942 and was by then virtually complete, for she was on trials on 8 July and achieved a speed of 38.63 knots on Southampton Water. She was accepted and commissioned on 11 July 1942 and then worked up at HMS Bee, the coastal forces base at Weymouth, before joining the 8th MGB Flotilla at Dartmouth in August 1942. Between then and September 1943, MGB 81 was involved in six actions. Off Guernsey on the night of 13/14 August 1942, she engaged in a close-range gun attack on two enemy armed trawlers and one trawler was severely damaged. The next month, the flotilla moved to Felixstowe and MGB 81 was soon in action off the Hook of Holland on 14/15 September, when two enemy motor vessels were damaged by gunfire and four armed trawlers were hit, with no damage to the MGBs. 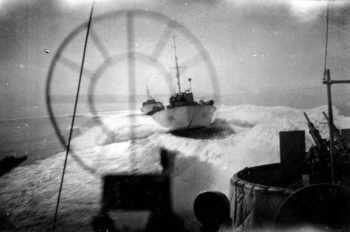 In action off Holland on 2/3 October, four enemy armed trawlers were engaged, and one of the flotillas, MGB 78 was lost. On 27/28 February 1943, the MGBs fought the escorts of a German convoy off the Hook, resulting in the sinking of MGB 79, and damage to MGB 81 caused by a shell hitting the engine room. 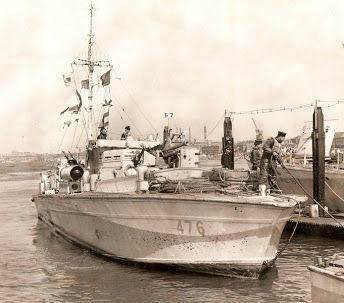 In April 1943, the flotilla returned to Dartmouth, though MG 81 was refitting at Brightlingsea from 29 April to 20 May. In June 1943, she was damaged in a collision with MGB 115 and was repaired by BPB at Poole. On 11-12 September, she again sustained damage when fired on by shore batteries at Cap la Hague and spent the rest of the month being repaired at BPB’s Poole yard. On the night of 23/24 June, she was involved in an attack on a German convoy leaving Cherbourg. 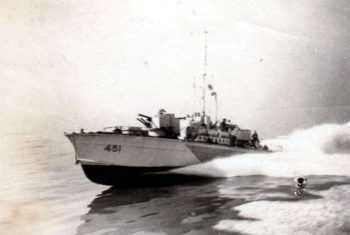 Although MTB 416 was only backing up this operation, one of her crew was killed. On the night of 18/19 July, she obtained hits on German R-boats off Cap d’Antifer, but her hull was damaged by gunfire and she returned to Poole again for repairs. In September 1944, the flotilla’s base changed to Lowestoft and her next action was on 14 February 1945 at Ostend. On 27 April 1945, with the war in Europe in its final days, she paid off at Poole and was placed in reserve. Finally, on the 2nd October 1845, she was approved for disposal and was later sold. Very little is known about her following history until 1958 when she was arrested by Customs officers at Shoreham whilst in a smuggling operation. She was sold on for use as a sailing school accommodation ship at Hardway, Gosport, and renamed JOLLY ROGER. In 1964, she was sold to become the houseboat CRESTA, also at Hardway. In 1984, she was towed to Burlesdon on the River Hamble, and in 1988, was bought by Guy Webster to restore her to her wartime appearance. 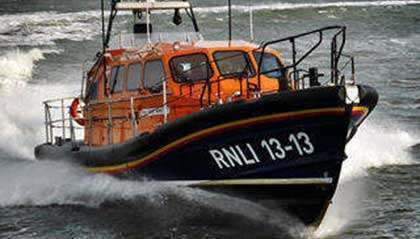 On 17 September 1998, she was bought by Philip Clabburn and was reconstructed at the British Military Powerboat Trust’s Marchwood site between 1999 and 2002. Petrol engines were thought to be prohibitively expensive to run, so three 1,000-bhp V-12 MAN turbocharged diesel engines were fitted, giving an estimated top speed of 45 knots. Since late 2009, MGB 81 has been based at Portsmouth, following her acquisition by the Portsmouth Naval Base Property Trust. 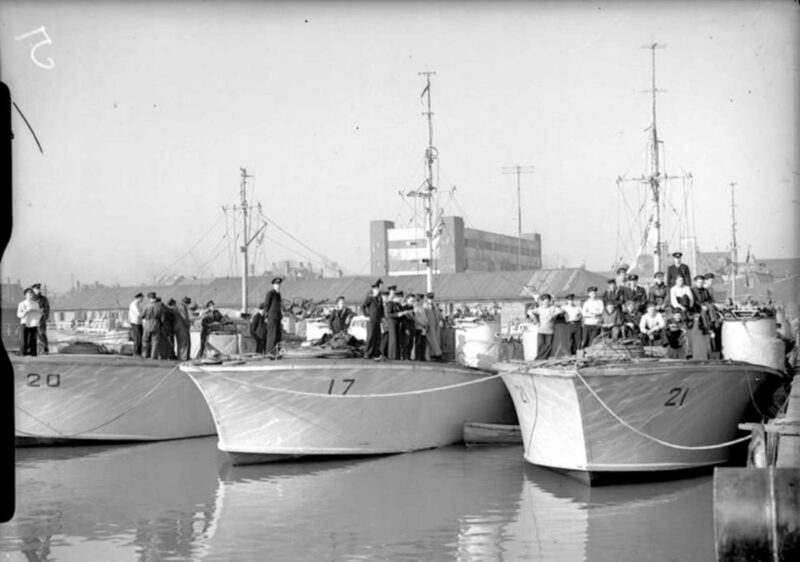 Motor gunboats MGB 17, MGB 20 and MGB 21, docked 8 March 1943. Progress and updates on this and all of our projects can be followed on our website here, or you can register for our monthly eNews blog here. In this short video timelapse you will see how the 3 MAN 835hp engines were removed, with multiple interesting angles, in order to make way for 3 new, Mermaid Marine supplied, FPT C13 825hp more reliable, fuel efficient, and lighter diesel engines. Watch the video Below for a first-hand and in-depth view of the engine removal. This is the first of 5 videos showing the step by step interior restoration. Here we will be taking you through how the 48 new frames were formed through laminating 12 planks, made from a flexible, light ash and a heavier stronger utile (hardwood), which are then glued together to make a strong and flexible frame. 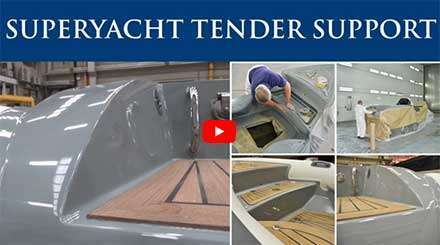 In part 2 of our series of videos, we will be showing how the 48 laminated hull frames were fitted. The screwdriver machine, seen in this video, used to fit the 3.5-inch silicon bronze screws is somewhat special. It was owned by the grandfather of Steve Phillips, a senior Berthon shipwright who worked for British Powerboats in 1940, giving it an incredibly strong chance that this screwdriver machine was used in the original build of MGB 81 back in 1942. In this video, we show you how the Box Stringers, Longitudinals and Bunk fronts were fitted. Quite clearly once an original frame or two started to delaminate owing to excessive stress, others nearby then took the toll and the more movement there was the more frames became dislodged allowing moisture to wend its way into rot. This meant that the entire interior framework had to be replaced. The existing box stringers and longitudinals originally butted up against bulkheads and were only glued and screwed through and fitted in place. Here we show you how we cut through the bulkhead and fitted each stringer together in the middle, with a scarf join, to make 4 longer 23’ foot stringers rather than 8 x 11’6” foot box stringers. The ends are also now set into the bulkheads and fitted in place. All of these changes will make her more structurally sound and far more rigid, hopefully negating the need for another refit soon. 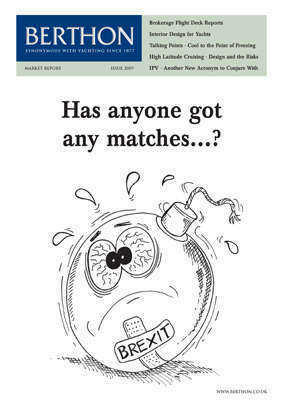 Here we show you how the 300 webs were cut and fitted. When removing the original interior, a selection of each different web was carefully removed, templated and saved in order to keep the pattern. These were then replicated to create a new set, ready to be installed. The use of the plywood webs, also known as stiffeners, is to lock and pull everything together; every corner and connection between multiple frames are reinforced with a stiffener which is glued and screwed into each frame. 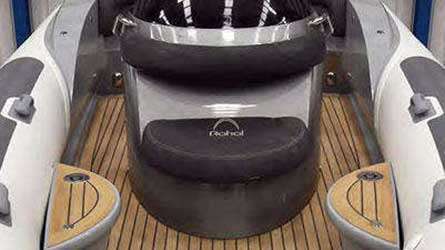 This pulls everything together and prevents anything from slipping along with stiffening up the entire structure and preventing anything from breaking or moving when she is up to speed and slamming in any swell. 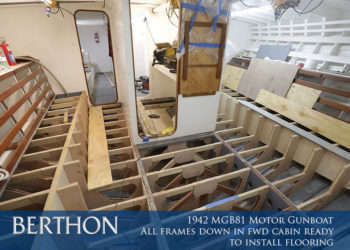 Watch how the forward and midship deck structure and flooring was built. The floor assembly was replaced in the same style with the structure and webs tying it all together. Finally, you can see all of the new frames, diagonals, Longitudinals and deck beams in place ready to be painted in the original blue/grey. 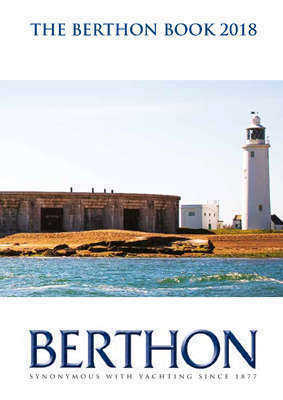 Berthon was awarded the contract by Portsmouth Naval Base Property Trust for the restoration and re-engining of the famous Motor Gun Boat 81 (MGB81) funded by the Chancellor using LIBOR funds. MGB 81 is a 71.5ft Motor Gun Boat built by the British Powerboat Company for the Royal Navy and launched on 26 June 1942. 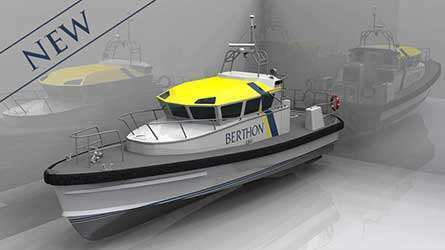 When built, she was among the fastest boat of her type in the world and capable of speeds in excess of 42 knots, but considering her age, with the new engines she will probably be limited to 34 knots. 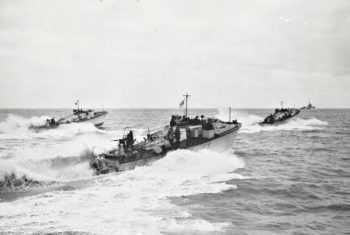 MGB 81 and her sister vessels were involved in the action in the English Channel, attacking enemy torpedo boats and landing secret agents on occupied soil. She was later involved in D-Day operations. MGB 81 is unique as she is the only restored and operational example of a Royal Navy Coastal Forces MGB which saw active service in WW2. You can read more about her history in the tab above. As a result of the restoration techniques used, she will retain most of her original performance capabilities but will now be stronger, lighter and require less maintenance. She arrived at Berthon in early July 2017 and was lifted to Berthon’s M-Shed with the intention of undergoing a survey and to allow time for her hull, deck and superstructure to fully dry out. She was then moved to our West Solent Shed where preliminary work began making the vessel safe for working ashore, with the engineering systems having been previously surveyed and assessed and a detailed engineering report given to the owners. The refit will strip her from stem to stern, and replace the structural frames and longitudinal stringers in pairs so as to safeguard the original hull and fittings and keep it as original as possible. 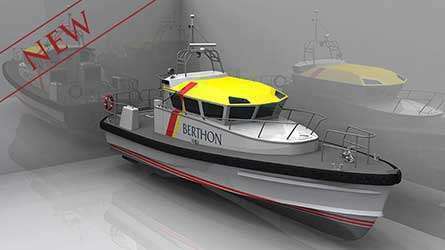 One of the largest jobs will include replacing the 3 MAN 835hp engines with 3 new, Mermaid Marine supplied, FPT C13 825hp diesel engines. Both Berthon and the PNBPT want to keep MGB 81 as original as possible. However, the replacement engines will be more reliable, fuel efficient, lighter than the originals. Before any work in the engine room can begin, the aft section of deckhouse and superstructure, gun turret & mounts and the rear gun will have to be removed in order to gain access to crane out the engines. 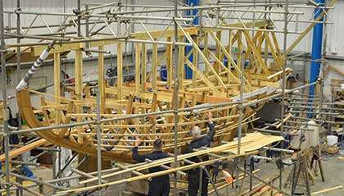 The deckhouse will then have to be replaced on completion of the engine installation.